I had another great day yesterday at Summerfair 2013, which is an annual event held at Coney Island Amusement Park in Cincinnati. I finally met a friend, Kelley, who has been a Facebook friend for a couple of years, for the first time at this event! I only have a handful of people on my Facebook that I’ve never met…usually a friend of a friend. Anyway, we arranged a meeting time and we really clicked! She’s intelligent, warm, and as you can see beautiful! We had a great time walking around Summerfair, which is a fine arts and crafts fair, with over 300 artists from around the Country. The event also has performers, and play areas for kids! 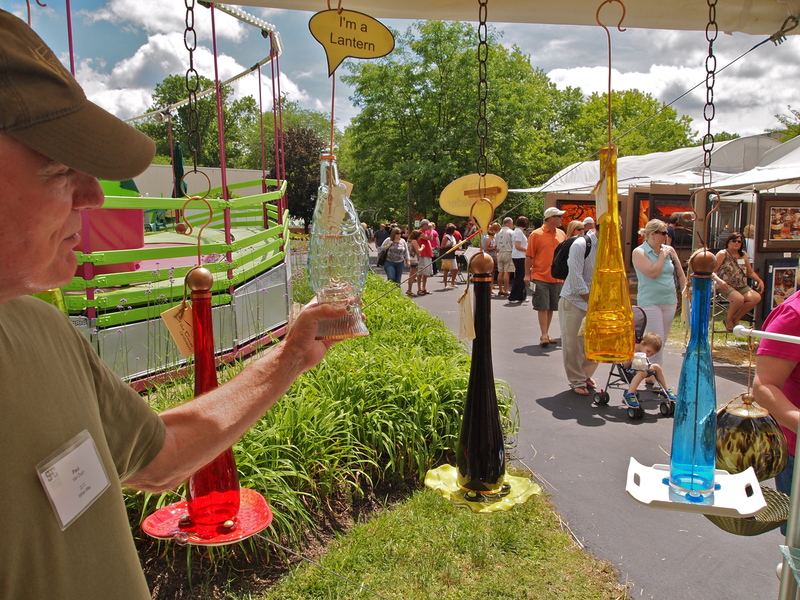 This is their 46th year and more than 20,000 people attend to view and purchase the art! Artists apply to exhibit their art at the fair in ten categories including photography, painting, wood, ceramics, fibers, leather, jewelry and 2D/3D mixed media. Summerfair raises money for a variety of arts opportunities, to include awards, scholarships and exhibitions to artists and small arts organizations in the Tri-State area. We stopped to talk with some of the artists and I requested permission to photograph their art and sometimes them. Another interesting thing about his art is that he uses Barbie dolls in some of his pieces. Check out his website here. I didn’t talk to the artist of these pieces…but the metal man was really tall! Here he is again with more of their work displayed. I love the blue piece! These teapots are so whimsical. The artist is in the background smiling. The guy down below also has very whimsical pieces that are so imaginative! Here are some additional artists and/or their work. Testing the artistic outdoor furniture. It was actually quite comfy, but with a price tag of $925…it should be. Kelley and I went to lunch at a fun place on the Ohio River after we left the art fair…but I’ll save that for tomorrow! Very vibrant photos, as usual! I really love that blue piece, too! really really!! I love your enthusiasm! Thanks for stopping by! Great day – thanks for sharing!!! It looks like you are jumping right into summer, yeah!!! Ya know, I have two facebook account, one for family, few friends and me and the other for writers, poetry and the like. I’ve never met any from the writer account. I think this is the way to get connected, idk, what do you think??? Thank you so much! Your visits are my reward! Thanks Rob! I can be quite persuasive! I’ll have her look at the comments…thanks! He was probably between 6 and 7 ft. tall. Love that hat. And the woman wearing doesn’t look too bad either. She received a compliment about her hat from someone as we walked past them at the fair. She is pretty! I had a second look. I thought she was you! But now I see she has brown eyes and yours are blue. Well, you’re both pretty. I hope Kelley reads the comments…in fact I’ll alert her to them…thanks! Tracy was a cutie! There were a wide variety of artists. If you take photographs everywhere…you don’t have a desire to buy things. Great photos as always! 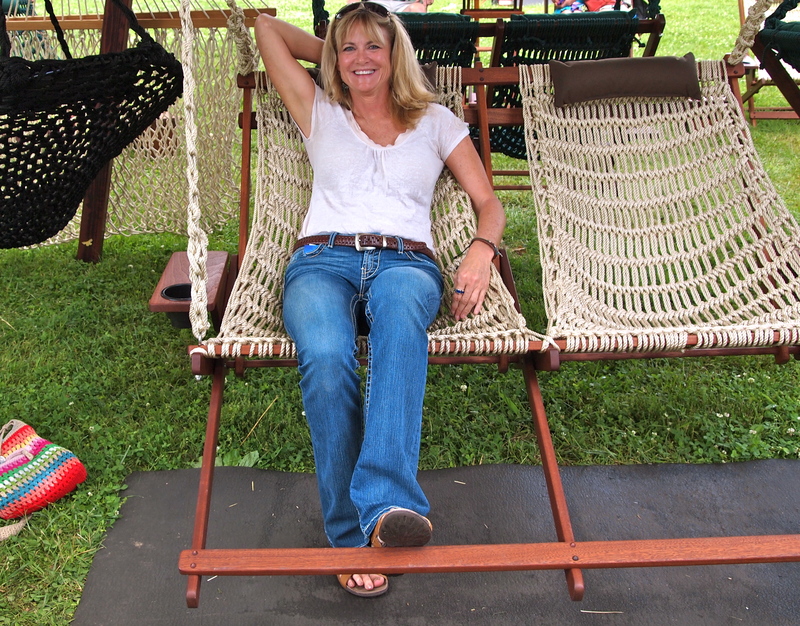 I love these outdoor shows, always fun and relaxing. Great post! Love all the different displays! Next time take me with you! I forget…do you live in Cinci? No I live in a western suburb of Cleveland…but been all over Ohio! It’s funny…I travel all over…but haven’t been barely anywhere in the rest of Ohio. I have to change that! Pingback: Summerfair 2013 | Fabulous 50′s | Hey Sweetheart, Get Me Rewrite!